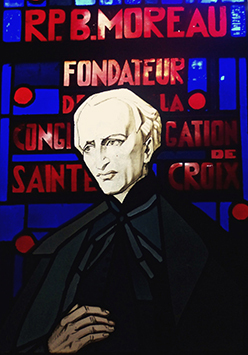 In the troubled period following the French Revolution (1789-1799), Basil Anthony Moreau (1799-1873), a priest of the diocese of Le Mans, founded the Congregation of Holy Cross. 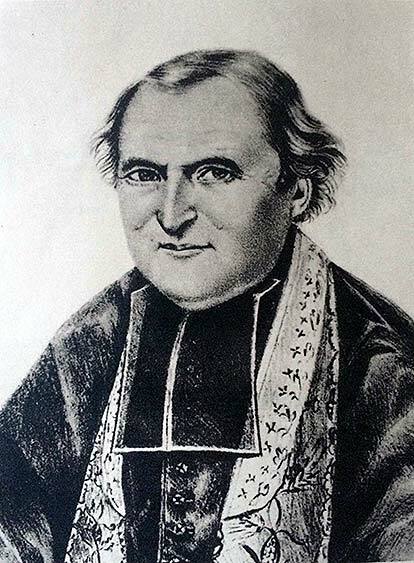 In response to certain needs of the devastated Church in France – particularly a shortage of priests, the de-Christianization of the French countryside, religious ignorance, and a general lack of instruction – Father Moreau, who had been ordained in 1821, planned to organize some clerics as Auxiliary Priests. By August 1835, he had recruited priests for this purpose. These Auxiliary Priests were to assist the diocese by preaching parish missions and by instructing youth, particularly in preparatory seminaries and colleges. Only days after this group was first assembled, Father Moreau accepted responsibility for the Brothers of Saint Joseph, who had been founded fifteen years earlier by another priest of the same diocese, James Francis Dujarié, pastor of Ruillé-sur-Loir. They were zealous laymen who had been meeting the need for elementary education in villages of the region. For the sake of their common mission as educators in the faith, Moreau joined the Brothers of Saint Joseph and the Auxiliary Priests on March 1, 1837, in the Fundamental Act of Union. The newly established Association of Holy Cross took its name from the Sainte-Croix suburb of Le Mans, in which it was formed. In 1838, Father Moreau gave a rule of life to the small band of laywomen he had gathered to provide domestic services for the priests and brothers. He would later direct them also to the work of education. At Sainte-Croix (Holy Cross), the suburb of Le Mans, he gradually formed the three groups into a single religious congregation composed of three autonomous societies. Each had its own authority structure, but all were united under a single general administration. Although ordained a diocesan priest, Father Moreau wanted Holy Cross to be a religious community conformed to Jesus Christ and bound to one another by the religious vows of poverty, chastity, and obedience. The first brothers professed their religious vows in 1836. Moreau himself, along with four other priests, made his religious profession on August 15, 1840. The first sisters professed vows four years later in 1844. The priests, brothers, and sisters became known respectively as the Salvatorists, Josephites, and Marianites of Holy Cross. Their founder wished them to be united in their lives and in their work as “a visible imitation of the Holy Family.” He saw their union as “a powerful lever with which to move, direct and sanctify the whole world.” The motherhouse and its conventual church – Our Lady of Holy Cross – were to serve as the symbol and the center of this union. The feast of this church became the patronal feast for the entire family of Holy Cross: Our Lady of Sorrows. Moreau believed that the work that God had entrusted to Holy Cross extended beyond the borders of France to the rest of the world. Within a few short years of founding Holy Cross, Moreau sent his priests, brothers, and sisters from France to Algeria (1840), the United States (1841), Canada (1847), Italy (1850), and East Bengal, or present-day India, and Bangladesh (1852). On May 13, 1857, Pope Pius IX approved the first Constitutions of the Congregation of Holy Cross. This approbation made Holy Cross an official religious congregation under the direct authority of the Holy See. As part of its approval, however, the Vatican required that the sisters be in a separate congregation with a separate governance structure from the priests and the brothers. The Marianites themselves received approbation for worldwide status in 1867, and in 1869 and 1883 sisters in two provinces in the United States and Canada acquired formal existence as independent congregations: the Sisters of the Holy Cross, and the Sisters of Holy Cross and of the Seven Dolors (since 1981, the Sisters of Holy Cross). Soon after his project had received the endorsement of Pope Pius IX in 1857, struggles both frustrating and discouraging moved Father Moreau to resign as Superior General in 1866. Estranged from the community to which he had given his life, he resumed a preaching ministry of his own. It was the Marianite Sisters of Holy Cross who stood by him most loyally during his later years and who were with him when he died on 20 January 1873. With the suppression of religious orders in France in 1903, North America became the focus of Holy Cross’ work and expansion. Numerous educational institutions, parishes, and other ministries were founded in the United States and Canada during these decades. Then, beginning in 1943, Holy Cross again expanded its work around the world, establishing missions in Chile (1943), Brazil (1943), Haiti (1944), Ghana (1957), Uganda (1958), Peru (1963), Kenya (1978), Mexico (1987), and Tanzania (1999). With the most recent establishment of a religious presence in the Philippines (2008), the Congregation of Holy Cross today serves in 16 different countries on five continents. 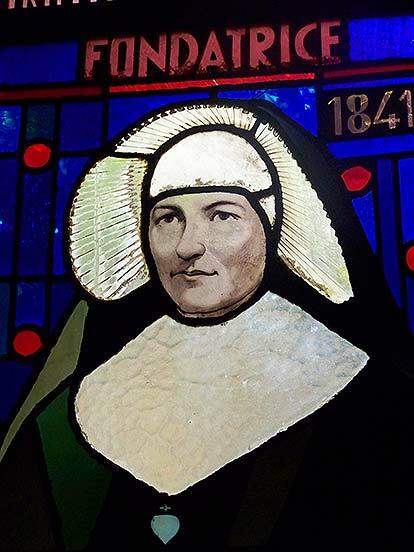 A half-century after Father Moreau’s death, the congregation came to restored reverence for its founder, reacquired the church of the motherhouse, and sought his canonization. Basil Moreau was declared “venerable” by Pope John Paul II on April 12, 2003, and beatified by order of Pope Benedict XVI, on September 15, 2007, the Feast of Our Lady of Sorrows. Three years later, the first Saint of the Congregation of Holy Cross – Brother André Bessette – known as the “Miracle Man of Montreal,” was canonized by Pope Benedict XVI on October 17, 2010.